Free&Fast Delivery! Available in Black Brown Red Ivory! 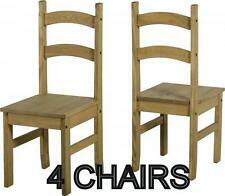 Pair of solid wood kitchen/dining chairs. Newly repainted in pale grey. Solid construction with solid joints to legs and spindles. Height to top of backrest 81cm. The distressed aspect of the finish involves subtle weathering to enhance the texture of the grain and create a hip ethnic character. Solid Wood Old Chair. All other chairs now sold 7/12/18. This is the only one available. Cash on collection preferred from Leigh on Sea. 2 available. See photos for condition. UK Stock! Free Delivery! Best Customer Service! Dating from the early 20th century, these well made chairs are constructed from solid mahogany. Each has a hoop back over patter carved splat and drop in seat raised on square tapered spade end supports. Really lovely and comfy dining chairs which look great. one grey and one white. Only selling because we are moving. Both chairs were painted with Annie Sloan old white chalk paint and finished with clear wax to gain shabby chic look. I am more than happy to provide more information if needed. Florence Navy Blue High back chairs have been designed to be the most comfortable kitchen dining chair possible. They are ergonomically designed with back support and the correct length of seat, which is slightly longer than most kitchen chairs. ➤I dealfor use as a decorative feature, occasional chair, dining chair e.t.c. ➤T raditional rustic design. We stand behind our products. ➤ Constructed from Solid Sheesham Wood. Q: Do you price match?. Dating from the early 19th century, these attractive chairs are constructed from solid mahogany. Each has a shaped stretcher back over original drop in rush seat raised on square tapered front supports. THIS DINING CHAIR WITH SIMPLE YET ELEGANT DESIGN WILL MAKE A GREAT ADDITION TO YOUR DINING ROOM OR KITCHEN. THE CHAIRS ARE MADE OF SOLID WOOD AND 100% REAL LEATHER WITCH MAKES THEM VERY STABLE AND DURABLE. Set of beech bar stools. 97 cm to the top of the back. We have several other sets of chairs for sale. Opening hours. Solid wood. Sturdy Pair of Chairs. These Chairs can easily be fitted in a car. Classic Retro Design. Fresh Clean Upholstery in Orange/Black/White Retro Material. 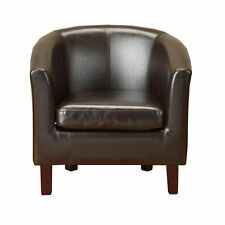 Linen Fabric Tub Chair Armchair Dining Room Lounge Office Cafe Furniture. 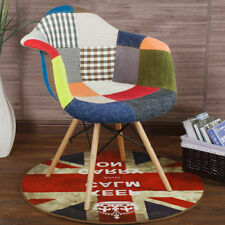 1x Armchair. Material: Linen fabric, Foam, Solid wood;. Color: Light grey. 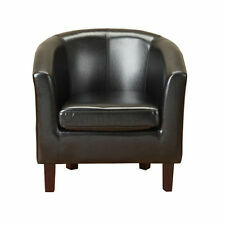 Fully foam padded, Comfortable curved back and Soft cushioned (Removable) seat. Sturdy Pair of Chairs. These Chairs can easily be fitted in a car. Classic Retro Design. Fresh Clean Upholstery in Red/Black/White Retro Material. Condition is Used, excellent condition. Beautifully crafted, the Genovia Solid Wood Dining Chair is a perfect partner for any dining table. The stylish dining chairs are ideally suited to dining rooms or kitchen settings. Wood Kitchen Dining Chairs with. 4 White Washed Pine Effect Solid. Perfect family dining table, this set provides seating. The 2 main pictures show a red seat, however, these haveblack seat pads and NOT red. Office chairs - The solid beech legs of our dining armchair results in the chair not only being durable and sturdy, but also still allowing it to maintain its sleek and streamlined look;. Kitchen Chairs - Clear floor protectors are used on the base of the legs which will protect your floor, minimise drag noise and protect the solid beech chair legs;. Each chair is painted with red,white and blue gloss paint and have matching washable cushions. ➤I dealfor use as a decorative feature, occasional chair, dining chair e.t.c. ➤T raditional rustic design. We stand behind our products. Q: Do you price match?. A : We have a very accurate inventory system that updates every hour. Old style brown solid wood chair set of 3. Cash on collection. This stylish modern set of dining chairs add beauty to your dining room area. 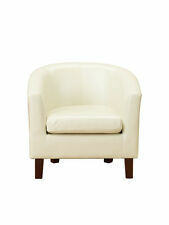 The Chair is in white matte finish, and is made of heavy duty ABS molded shell. 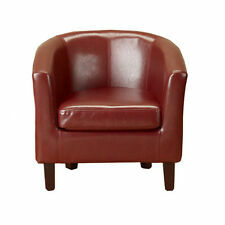 Designed with comfort in mind, they feature back rests providing the much needed lumbar support. Set of four stylish Marks & Spencer Padstow dining chairs in Putty colour made from 100% solid oak and beech wood. A set of two, these slat-back chairs are manufactured using responsibly sourced wood and feature a low-sheen lacquer to enrich the colour of the wood and provide durability. 3 good used IKEA ADDE Black stacking chairs. 3 good used IKEA ADDE Black stacking chairs. Hardly used and been stored in shed so need good clean. Collection only due to nature of item and cash preferred. To view/more info/best deal phone Ray on 07734476228. Julian Bowen Davenport Ivory Dining Chair. A stylish dining & occasional range made from solid Wood & faux suede upholstered seat pad. Bedroom Living Room Beds Dining Room Any Room. Here at Robinsons Furniture LTD, we are happy to help! VidaXL Dining Chairs 2 pcs Turquoise. The chairs have an ergonomically designed seat with integrated backrest in a modern, curved look. They are highly comfortable, and their stain-proof surface is easy to clean. Julian Bowen Consort Pine Finish Dining Chair. Solid wood chair in a honey pine finish. Bedroom Living Room Beds Dining Room Any Room. Here at Robinsons Furniture LTD, we are happy to help! Assembly must not have been started. Houndstooth Burlap Fabric Tub Single Seater Sofa Chair Living room Bedroom Decor. Ideal for living room, dining room, bedroom or any circumstances decor. 1 Single Seater Sofa. Houndstooth Burlap fabric cushioned (Removable) seat, comfort design, feels good. 8 chairs available. £30 per chair.